New pick-ups Stateside include Fox comedy Brooklyn Nine-Nine and CBS sitcoms The Crazy Ones, The Millers and Mom getting full season orders. 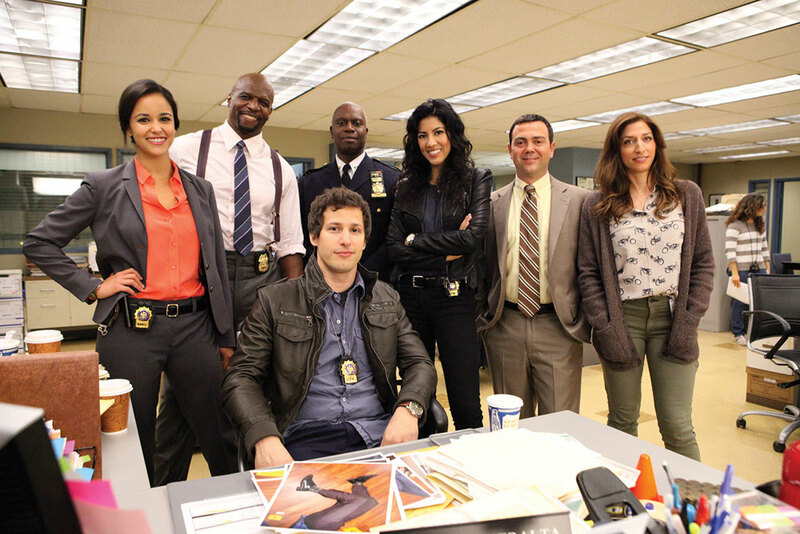 Brooklyn Nine-Nine follows Andy Samberg as a maverick New York cop and his new strict precinct captain, played by Andre Braugher (Homicide: Life on the Streets). Ratings and critical response have been good with an average audience of around five million, though it had shed almost half of its 6.2 million debut episode viewers in its terrestrial slot by its sixth episode. The Universal Television, 3 Arts Entertainment and Fremulon-produced series will now run for a full 22 episodes and has a landed a key slot following Zooey Deschanel comedy New Girl after the Superbowl XLVIII broadcast on February 22. Meanwhile, The Crazy Ones, The Millers and Mom have received back nine orders, CBS Entertainment president Nina Tassler has revealed. Twentieth Century Fox Television-produced Robin Williams vehicle The Crazy Ones is CBS’s highest rating new comedy at an average of 13.7 million viewers, while Will Arnett-starring family sitcom The Millers, from CBS Television Studios and Greg Garcia, has been successful at retaining most of its primetime audience in key demographics. Mom, which buyers at May’s LA Screenings expected to be a key new title, has performed less well with an average audience of less than eight million but is also getting a full season run out. The Warner Bros. Television and Chuck Lorre Productions show stars Anna Faris as an alcoholic mother attempting to keep her life and family together. Other developments have seen ABC add more episodes of The Goldbergs and Bradley Whitford sitcom Trophy Wife and The CW push ahead with three new episodes each for Reign, The Originals and Tomorrow People. On the flipside, NBC has axed its update of cop drama Ironside and sitcom Welcome to the Family. Elsewhere, Fox has given a series order to Hieroglyph, a 13-episode action-adventure series from 20th Century Fox Television and Chernin Entertainment. The fantasy-infused show is set in ancient Egypt and follows a notorious thief who is plucked from prison to serve the Pharaoh at his mysterious palace. Travis Beecham (Pacific Rim) is writer and executive producer. Production begins next year.